It’s time for the next version of The Crafty Mail! I’m so excited to be in the February box, and the theme for this month is Love Bug. I’m a huge fan of Valentine’s Day. 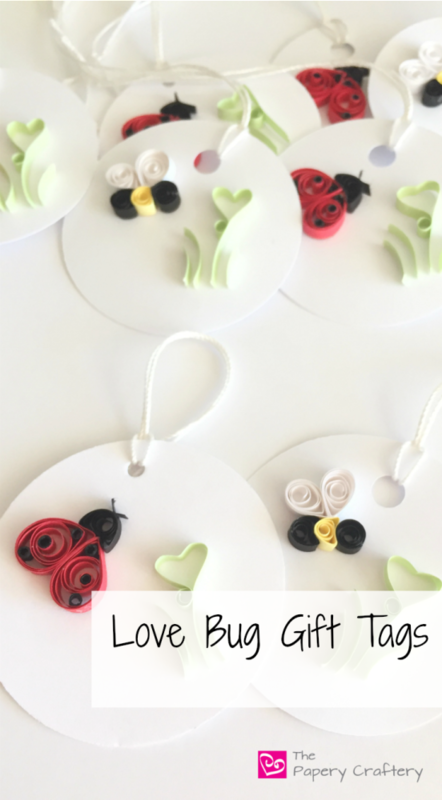 I love that there’s a whole day devoted to love and hearts and so I decided I would mash up both parts of the theme, love and bugs, to create some ladybug and bumblebee Love Bug Gift Tags. …and some super-mini bumblebees with heart shaped wings! After rack my brain for a little bit and playing with some paper for a while I came up with a way to make some pale green heart-grass that they could both fly over. Yep, I’m all about feeling the love over here! I really enjoy submitting to The Crafty Mail. 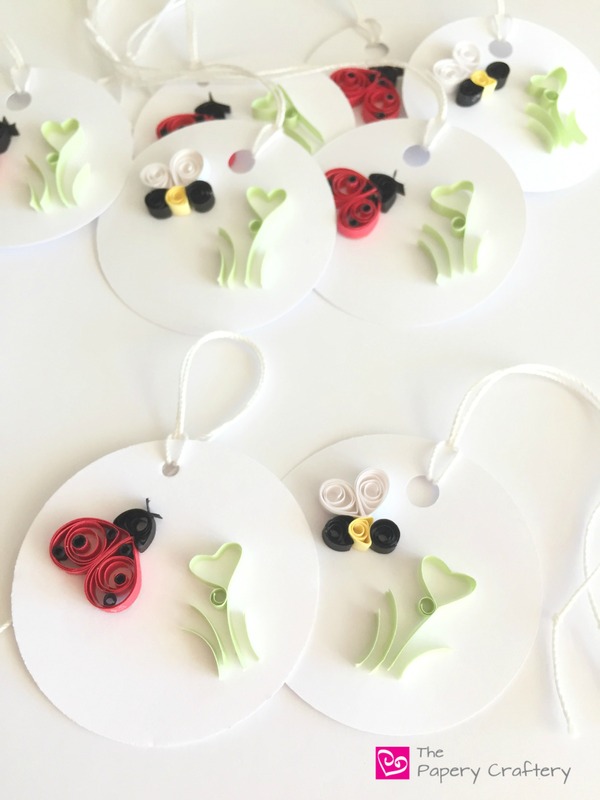 In fact, I’ve raved about them before in my posts about Why I Submitted Samples to a Craft Subscription Box and in my tutorial for my Falling Leaves Gift Tags! I love the fact that not only does my work get into the hands of a number of handmade lovers’ homes, but also because I get the opportunity to receive a box of handcrafted goodies every time I submit to The Crafty Mail. Even if the time to get in on this box has come and gone, go to The Crafty Mail to order your own box of handmade awesome. I’ve gotten so many really cute and well-made items in my boxes, like jewelry, bath and body products and printables! Have you ever gotten a subscription box? I’d love to hear all about it! Leave a comment below about your experience, and some of the fun items you’ve gotten in the mail!